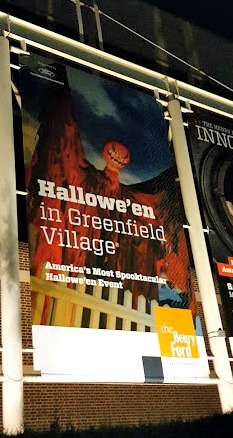 *Disclosure: I attended Hallowe'en in Greenfield Village as a member of the media. The opinions expressed here, however, are my own. I had never attended Hallowe'en in Greenfield Village before, so I was excited to try it out. I've had a media pass for GV and The Henry Ford for about two years now, but I haven't used it as much as I've wanted to - Dearborn is about a 40-minute drive for me, so it's not super close. I'm a fan of all things Halloween, though, so I made the trip to Dearborn this Saturday night for the event. 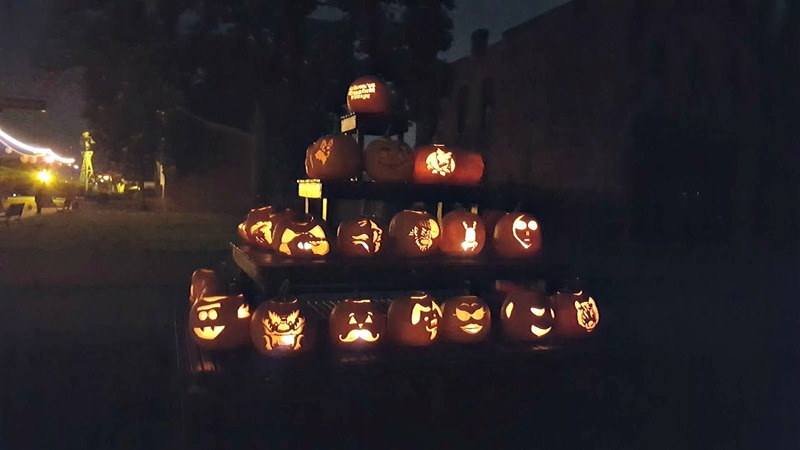 Stroll down streets and alleys haunted by over 1,000 carved jack-o’-lanterns and lavishly costumed characters during America’s most spooktacular Hallowe'en event. 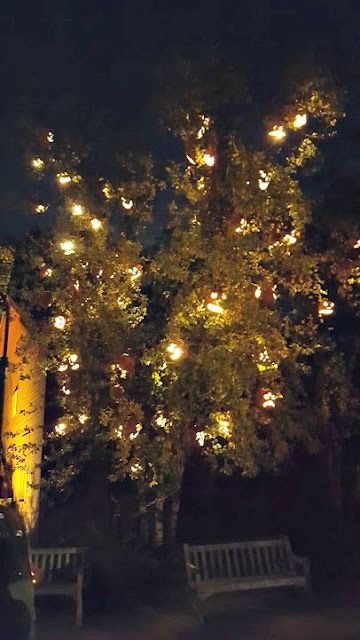 Follow a mile-long, curving path illuminated by the flickering light of hand-carved jack-o'-lanterns, and meet classic costumed characters along the way. Feel the chilly whoosh of air as the Headless Horseman rides out of the shadows of Firestone Farm’s fields. 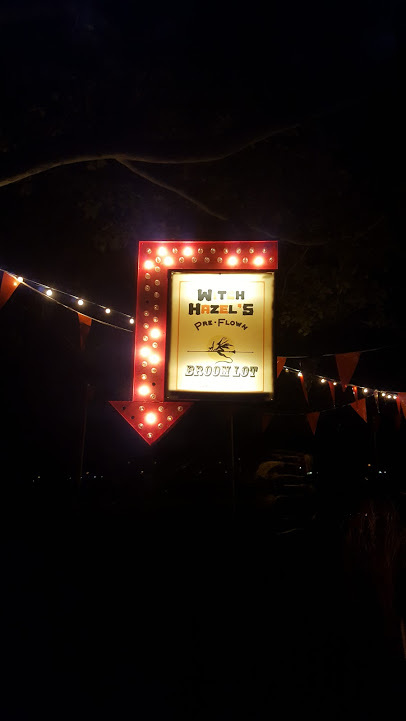 Banter with dancing skeletons, witches and wizards, and witness unique vaudeville acts that include sword-swallowing, fire-breathing, death-defying stunts and more. They’re everywhere along Jack-o’-Lantern Boulevard. The good news is that you can bring the entire family. This is a kid-friendly, nightmare-free Hallowe'en gathering. Before I went, I crowd-sourced a bit via my Facebook friends - I don't have any children, so I wanted to see if it was worth going by myself and with another adult. I was told that it's still very fun, which helped sway my decision to go. Overall, I will say that Hallowe'en is more for kids. 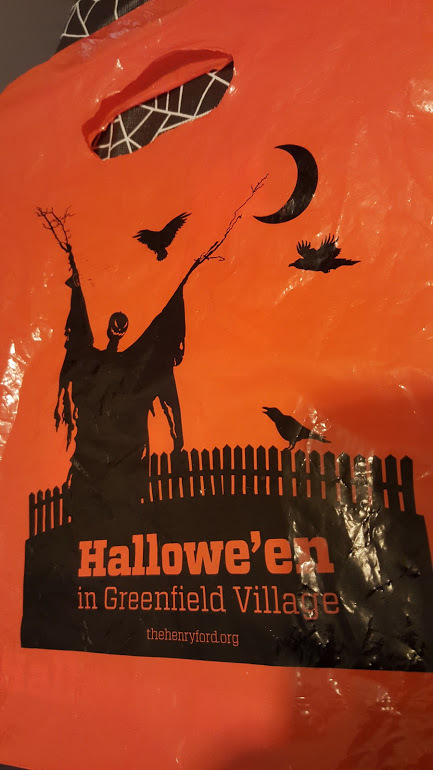 There was trick-or-treating there, which was for everyone, and I definitely enjoyed that - I loved trick-or-treating as a kid - and I came away from the event with a bag full of candy and chips. The way Hallowe'en is laid out is that there are different attractions or shows going on in different areas in the village - in that way, it reminded me of Six Flags Over Georgia's Halloween celebration (which I attended last year), in that there are live shows going on everywhere and simultaneously. Each show starts at a different time, though, so when you walk by one, it might have already started. 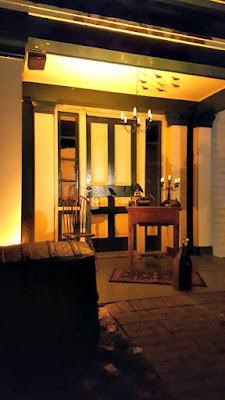 One of the shows we watched from start to finish was quite good - it was a one-man show, which we eventually recognized as The Tell-Tale Heart, by Edgar Allan Poe. The actor who performed the show had memorized the short story, and it was very interesting to listen to, although not really for kids, in my opinion. The rest of the shows we walked by seemed very child-friendly, though. Would I return to Hallowe'en as an adult, with other adults? Probably not. However, if I had a child or was with someone who had a child, I would go again. Most of the children who went were dressed up, and seemed to be having a good time. There is nothing scary here too (a few creepy things, yes, but nothing truly scary), unlike, say, Halloweekends at Cedar Point, so it's good for children of most age ranges. You can find tickets to Hallowe'en here - prices range from FREE (children younger than 2 years old) to $16 per ticket. Adult and youth tickets for HF/GV members are $13.75, and are $16 for non-members. I highly recommend booking your time early, too, as tickets sell out fast: right now, most of the earlier shows (6:30pm to 8pm) are already sold out. Saturday, October 22nd is already completely sold out, actually, according to the website. Have you ever been to Hallowe'en in Greenfield Village, or something similar?